Christin is a simple living, frugal, DIY enthusiast who loves showing others how to live their best by embracing simplicity. If you're like me, then you are always looking for ways to cut corners, but not quality. 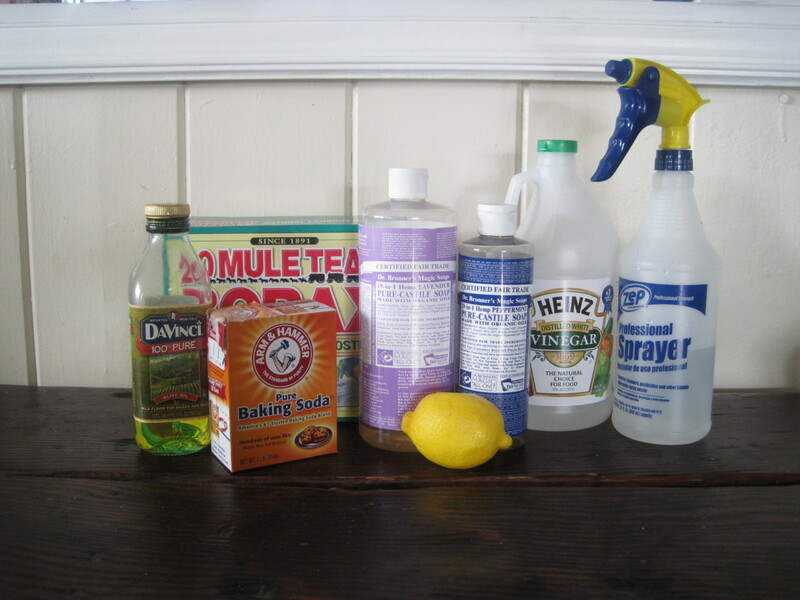 I am a big fan of DIY everything – from recipes to cleaning products. This article contains a tried and true laundry detergent recipe that can be customized a bit to meet your own families needs. It will work and dissolve properly in cold cycles as well, saving you more money. This was very important for me, as we wash nearly everything in cold water. It's more gentle to your clothes as well. This detergent is powerful. You will only need a couple of tablespoons per load max. Seriously! I use it on everything from delicate wash to my hardest to clean laundry (think teenage smelly socks etc) and it works beautifully every time. The supplies to make it will cost around $30–$35 on average, and will vary a bit depending on where you live. Most items are very easy to find, some items like Fells Naptha and Borax are not carried by every store anymore and you may need to do a little digging or purchase online. Double check, because often buying online in bulk will save you money, especially if you use Amazon. A couple of years ago, I tried a recipe I saw online. It cleaned well, but ended up leaving flakes all over my clothes. I decided to do what I could to tweak and re-test the recipe. I wanted something that met all of my criteria. It had to clean well, dissolve even in cold water, be gentle on the skin, simple to make, and not cost a lot of money. Simple enough right? Actually, as it turns out, yes it is pretty easy. I mixed a lot of products I used individually and the following is what I came up with. 1 4lb box Arm & Hammer Baking Soda (or any other brand, if you're penny-pinching). Optional: 1 13.2 oz Downy Unstoppable in wash Scent Booster. Use this for scent if you want your detergent to have a smell. The other ingredients are natural and perfume free. I'm sure there are other brands on the market of something similar to this you could try. This is just what we used. Go without if you have sensitive skin or allergies and it will still work just as well! Fells Naptha soap is sometimes hard to find locally. 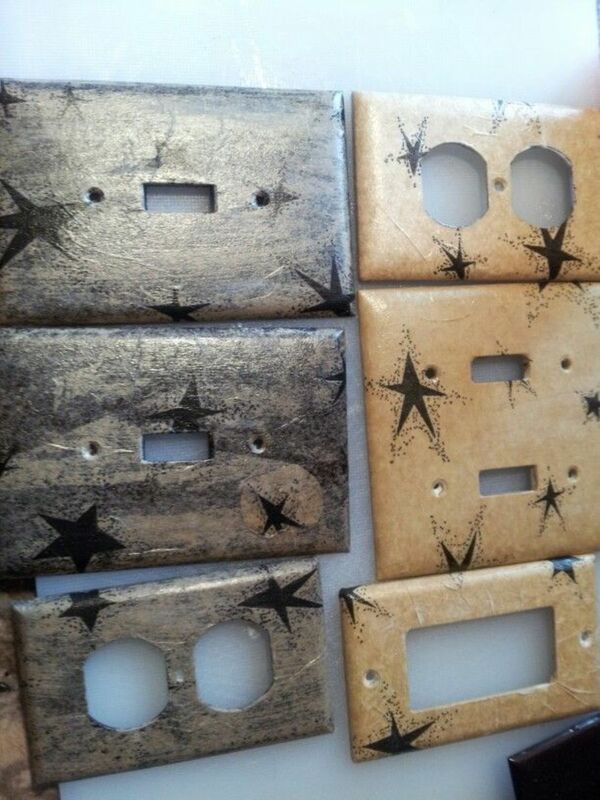 Try your local hardware store, or you can purchase it inexpensively online here. Empty the Borax, washing soda, baking soda, the Oxiclean, and the Downy (if you opted to use it) into the bucket. Remove the bars of Fells Naptha from their wrappers, cut them up into very small pieces, and then run it through a food processor until they are ground very fine. This step is extremely important if you want your soap to not leave residue behind. These bars must be ground as fine as you can get them. Once you've processed your soap bars, add this to the other ingredients. At this point you will want to wear latex gloves and a paper mask to keep from breathing the powder as you mix. Dig in and mix it well for several minutes. Make sure you get all the way to the bottom and really pull it up and blend. 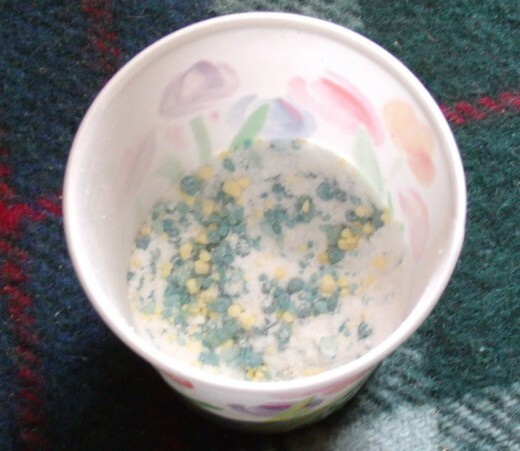 As you do you will see the yellowy flecks from the bars of soap and the purple or bluish flecks from the Downy, and it will look very similar to the powdered detergent you buy in the store. There will be a ton of this from this recipe. If you run an average couple of loads a day this mix should definitely last the better part of a year. Remember, do NOT overuse it. You only need a couple of tablespoons per load. I'm sure you'll be skeptical about this initially, but try it. Most of us overuse commercial detergents because they add so much filler and water. There is none of that in this recipe – it's extremely concentrated. You'll be pleasantly surprised just how little it takes to do a very good job. Used properly, this batch will give you hundreds of loads of laundry for a very low initial investment. It's so easy to do, you can't go wrong :). Feel free to drop me a line in the comments section if you try this and enjoy it. This detergent (without Downy) is fragrance and dye-free and can work great for those with allergies. As mentioned, but it bears repeating: You use very little of this soap to clean a full load of laundry. I like the "good smell" so I add the Downy for extra softness and a nice, clean scent. A tiny bit of this is very concentrated and goes a very long way! It will be difficult to not overuse this at first because we are so accustomed to overdoing commercial detergents that are full of water and other fillers. This is not — it is pure clothes washing goodness throughout. Use it on pretty much anything. However if in doubt, spot test first. Brightens colors and whitens whites. This recipe makes enough for hundreds of loads! :D Enjoy! Will you try this recipe or did you? Yes I tried it and it worked awesome! 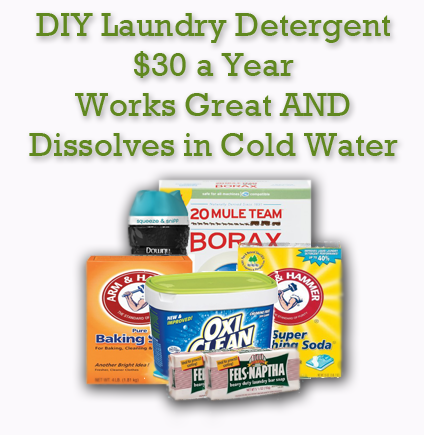 I tried it, but changed a few things or made some alterations which I am sharing in the comments below..
That sounds like it just wouldn't work that well - I'm skeptical - I really don't have to pay 15 bucks for name brand stuff to have clean clothes? If you have any comments or questions about this recipe or just want to share your thoughts drop me a line in the comments box below. I love to read your feedback! Is Homemade Laundry Detergent Really Cheaper and Does It Really Work? Going on like 4 years of using this! So much savings! To avoid clumping of the powdered detergent, I collected a few desiccant packets that come in new shoe boxes or other newly purchased items, put them in a clean unused coffee filter, gathered up the edges of the filter with desiccant packets inside, twisted coffee filter edges together and secured with a rubber band. I tossed this on top of the mixed powder detergent and NO CLUMPING. The desiccant packets do their job by absorbing extra moisture. 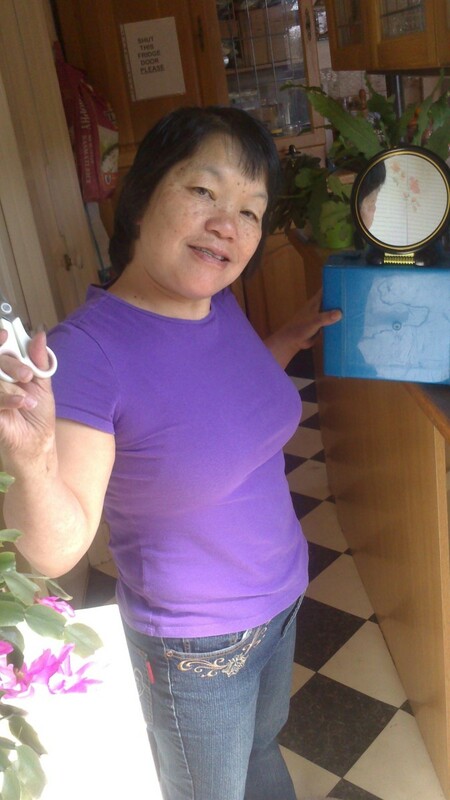 Patricia in the article it states the purpose and to grate the soap fine. No it doesn't stay on the clothes or it wouldn't be in there. Yes it is necessary as it helps clean. Sadly, I do not have a recipe for dishwashers as my dishwasher is my teenager ;) lol I do intend to replace the actual dishwasher that broke at some point, but I have other priorities that have to come first. Just made my third batch and still love it. Do you have a recipe for dishwasher detergent soap? 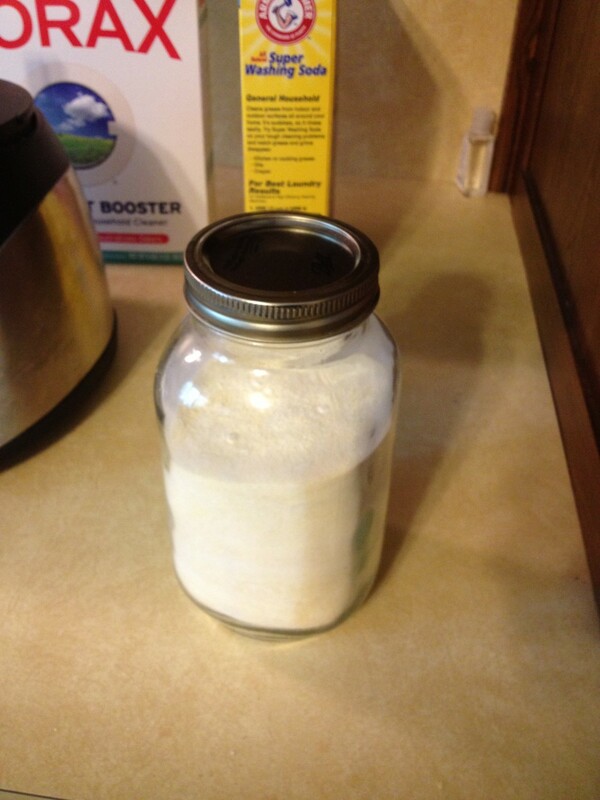 Thanks for sharing this homemade laundry detergent recipe. I'm, certainly going to try it out. Hi Christina yes, others have used it and commented on it. It shouldn't be a problem at all. Is this safe to use with a h.e. washing machine? OK, finally got around to mixing up the ingredients and it worked great. I wrote the date we first used our creation on the bucket- Jan 20, 2017. Can't wait to see how long it actually lasts! None of the ingredients I have listed are liquid. You don't have to add fabric softener because the baking soda softens the water and your clothes naturally. all the softeners are liquid. how do I mix all that in a dry powder mix? thank you. Thanks so much Angi, I really appreciate the awesome comment :) Soft water seems to be better with every kind of soap in my experience. I have a water softener in my shower and it makes my expensive organic shampoo last twice as long - better lather, use less. I'd think it would be the same for any soft water/detergent or soap. My grandma used almost the same but no oxi and not fabric softener. Cause they didn't have that back then. I'm glad to see more people using hand made products. And posting them out for others to use. My Great grandma swore by the Fels Napa soap. There was always a bar by the sink for when us kids made a mess of our Sunday cloths. I use essential oils for my fragrance and add empisom salt to it. ES helps with static. I also grate the bars then machine chop to get my Fels in small flacks. In large blankets it don't like to break down as well. I like another reader said she likes the dey over the liquid I too am like that. For some reason it just seems to work better but most likely it is the washer. This works even better with softened water. But the great thing is it still works awesome with hard water too. Have a great day thanks for sharing. Has anyone used this in combination with a water softener. We have to have a water softener in our area. Awesome Barb, I hope it works well for you. If you find it's not strong enough for extra dirty stuff, you can always tweak it a bit too, add more of the oxiclean or fells for stains for example. Thanks for the quick reply, Christin S. Can't wait to try this & start saving money! Both the man of the house & I have lots of barn chores. We go through tons of detergent, on really filthy clothes! Use whatever type you want. I use the Arm and Hammer washing soda but I think any washing soda would work. When the recipe calls for Washing Soda, do you mean Tri-Sodium Phosphate, or the new kind with no phosphates? Here in New York State, you can't buy real TSP washing soda any more, because of the phosphates. Does it matter which kind of washing soda? Are you keeping it sealed tight? Do you have it a humid area where there isn't good ventilation? You can use it wherever. I put my detergent on top, but I don't think it matters. I've made this but mine is starting to harden and stick together? Anyway to prevent? Do you use on top of load or bottom? You can buy Zote soap flakes and not have to grate the Fels Naptha Bars. So awesome Peggy, I really want to thank you for coming back here and updating everyone :) That was very nice of you and much appreciated by all I'm sure! I just wanted to update, that I just used my last scoop from the batch I made 11 months ago! It lasted almost a full year with a family of four, although I have to admit that I use a very cheap (1.99$) liquid laundry detergent for our towels, that don't really get dirty, just wet. But for the homemade detergent, no one noticed any difference to the expensive stuff you can buy in the stores. Hi Margaret, thanks for your input. I'm happy those two ingredients alone work for you. For me, I prefer the other ingredients as well for the additional stain releasing and removing power. I also wash in cold only so the extra ingredients work well in the cold cycle and preserve our clothes longer. I've found I can get even our dirtiest clothes clean with 1 scoop baking soda and 1/2 scoop Borax. That's all I use -- and we're sheep farmers. Thanks polly for the dryer tip with the foil. 2 loads a day gets expensive for sure. Hope your family enjoys the recipe. I can't wait to try your recipe. I have 5 kids and do 2 loads/ day. I saw a comment at the beginning of this discussion about using foul in the dryer. I've Ben putting a ball ofDollar Tree foil in the dryer for a year for static. it didn't have a nice scent like fab. Soft. Sheets do but gets rid of static great, and I save the foil when I fold dried laundry to use again. I've been using this recipe for two years. I tried commercial detergent at one point and ended up giving it away to a friend. This stuff makes my clothes and sheets feel and smell great. I recommend using vinegar as a fabric softener. Cheaper, more effective, and doesn't cover your clothes in wax. a lot - :) about half a 5 gallon bucket maybe just a little under. Do we know exactly how much this recipe yields? Like approximately how many tablespoons? Oh thank you for posting this! I just made this yesterday and it was so easy to mix together. I thought it was going to be difficult. I didn't have a food processor so I grated up the soap fine. It took a lot of arm work, but it turned out just great. I'll be sure to have a food processor next time I make though. All in total my costs were $28.12 even with the smelly good crystals. I immediately starting using it. Smells so good and cleans my clothes better than ever. Many of the comments prior to yours were by people using it just fine in HE washers. I would look through those comments to see how they applied it as I don't have that type of washing machine. I have a HE washer. Will this work for that? If so do I put it in the detergent tray of the washer or straight in with the clothes? I use my vitamix to break up the hand soap to get it fine! Works great and washes well after with no smell! Just pulse the machine and cut up the bars of soap first. Then use a spatula to reach bottom of vitamix! Good luck! I read all the comments and see that many people have used this in their HE machines. My question is do they add the detergent in the dispenser or directly to the tub? I used Purex scent crystal for fragrance and will be using 1 bar of zoat and 1 of the other. I add oxiclean in addition. I use approximately 1 to 2 Tablespoons - depending on how soiled the laundry is etc. You don't need much at all. So for a full load in the washer I use two tablespoons? Is that correct? owlover, if you are having that problem then I would not use this detergent. I haven't had that issue - perhaps if you've already made some, add something to your loads that cut grease? a bit of dawn detergent or something? I have honestly never had a problem, but I do use a food processor to make my powder fine. On other websites with same ingredients in the detergent I have seen same issue brought up by a few people. I may put it back in a food processor and make it finer to see if it's the soap??? I have no idea. I've never had spots in my clothes from using this detergent. Perhaps it is your machine or something in the water softener that is doing it. I made this minus the Downy. I ground the soap even finer but get greasy spots whenever I use it, especially on my cotton t-shirts. My water is softened...but why the spots??? They look like grese marks. I am excited to try this laundry detergent. I have a question if anyone has used in the new front load machines that require HE detergents? Awesome Veronica :) So glad you are enjoying it so much. I really like the smell of just the Fells too, but I know a lot of people prefer the stronger scent. The scent crystals keep it smelling good for much longer than plain. The ingredients to make this have come down in price too a bit in many areas since I first wrote this hub - a good thing, it means there are demands for the products used to produce it :). Thanks for the awesome feedback you made me smile this morning. Made your recipe this evening. Followed your instructions and used the Downy Unstoppables scent booster in "mist". It smelled divine! It actually smelled really clean and kind of citrus-like without the Downy added at first. I liked the Fells smell really well but added the Downy cuz the combined scent was even more amazing. :-) thanks so much for sharing your recipe! I found it on pinterest and pinned it. Cost me less than 30.00 to make this batch and so worth the savings. I was spending about 6-10 a dollars month or so on commercial detergents like Wisk, Tide, etc. I did the math and thats nearly 120.00 yearly on laundry detergent alone. Your recipe will save me so much money, is better on my washing machine, cleans well and smells great! Thanks girl! U rocked this Floridians socks! About a tablespoon or a bit more - it's stated in the hub. No, it doesn't make bubbles, it doesn't need to and soaps that create a lot of bubbles are actually harder on your machine. hi! I was wondering how many tablespoons exactly do you use? And is it supplied to have bubbles? Thanks Angie for the feedback and the support - much appreciated and I'm so glad you've enjoyed it. I LOVE, LOVE, LOVE this detergent! It works great and saves tons of money! I only changed one thing... I added a whole bottle of the Purex crystals for the scent. Otherwise, it's perfect! So many people have asked me for the recipe and I send them directly here. Thank you for this awesome tip! Thank you. I've been making my own concoction for a while, but I'm going to try yours tonight. I live in NY and the ingredients were a total of just under $21.00 at Walmart. Your mix adds baking soda, I was making almost the same. One of my kids works in food service so I'm hoping the baking soda helps with scents. I have also used a liquid version, it's just dawn, borax and washing soda, it's all over pinterest, dk where it started, works well too, but you use all cup at a time, it's low suds too. Thank you. No it doesn't make suds. You don't need suds to have clean clothes, and in fact many of the chemicals that make commercial products foam are hard on your washer. I was wondering do the detergent suppose to sud up in the washer? Why I asked cause I made it and it do not make sud. Did I do something wrong? I have no idea if it would work as I haven't done that Jenn, but you could try it. If it is a stain remover I'm sure it could work. I have never had problems with oxiclean not removing stains so that's why I use it. Sorry just a quick comment, zote is now starting to make zote laundry soap flakes. They sell them at some walmarts or online amazon. I am thinking of making this recipe. I was wondering if instead of oxy clean, which I find doesn't help with stains, I could add Biz laundry booster & multipurpose cleaner? I have never tried homemade laundry detergent. Awesome Peggy! Thanks so much for sharing some alternative ingredients for our Canadian friends :) I appreciate you stopping by to share that. Have a great day. I made my first batch about a week ago and I LOVE it! However, as I live in CANADA, I wanted to add a few things: Instead of the Fels Naptha, which obviously is not available over here, I used the Sunlight Soap bar, which works great. And I grated it with my cheese grater, that makes very fine soap flakes, and I did not notice any residue. Also, it seems like the Arm and Hammer Super Washing Soda is not available in Canada, so I did some research and learned, that the the ingredient is sodium carbonate, which is also used in pool chemicals. So I went to my local pool supplier and got me something called "PH +" . This works just great. Everything else is easy to find over here, I´m really happy I found your recipe! Awesome Shelby - you're very welcome for the recipe. I like your idea of using the smaller bucket to make it easier to handle. The big bucket is definitely heavy at first. Thanks for coming back and leaving feedback - much appreciated. this was so easy to make! I opted not to use the Downy scent booster, and was able to get all the ingredients including the bucket at Walmart for $24. It took like 10 minutes to throw everything together. I found the the bucket and super tight lid are a bit unwieldy to deal with on a daily basis, (heavy bucket, and the lid is not at all easy to open) so I saved the oxiclean tub and its scooper, and I use the scooper in the 5 gal bucket to fill/refill the oxiclean tub with the detergent mixture, and I keep tbsp measuring spoon in the oxiclean tub to measure as I'm doing laundry. Much easier and a good way to recycle some of the packaging. Thanks for sharing this recipe! Its going to save my family around $100 this year. Awesome Laura thanks for the feedback and I'm glad it's working so well for you. I made a batch yesterday... I have very sensitive skin. I used white Zote soap instead of the fels and did not add the scent crystals..... I bought some my family can add to their loads if they want. I have a HE machine. And it works great. My laundry came out just smelling clean and I love that! Yes Susie it is - other commentors have used it and said it was fine. Hi! Is this safe to use in High Efficiency washers? Hey there, try throwing the soap in the microwave for about 2:30. After letting it cool about 15 min, start crumbling with your hands. WAY easier to get small particles. Great recipe though! Cool BethG, I may have to try this out. I like the powder so well I've never even thought to do the liquid type. Boil a little water, add soap shavings and Downey unstoppables. Make sure melted. Fill bucket 3/4 full of warm water. Add all powders stir. Add 1 cup dawn dish soap. Stir. Add contents of pan on stove. Stir. Let sit overnight. Will be thick. Put into empty laundry soap bottles. Liquid soap! Unfortunately, nothing keeps black from fading forever, but I wear a lot of black and haven't really noticed much difference between this and the store bought stuff. I always wash my dark clothes in cold water though. You might want to try something like woolite for your darks and wash them in cold. Does this detergent work well to keep black clothes black? Majority of my clothing is black (goth :P) and I've tried searching for a cheaper way of keeping them black (store bought supposed "keeps blacks dark" junk really has't made much of a difference) but none of the homemade stuff seems to mention if it's safe for dark clothing or keeps it from fading. You're very welcome Barb so glad it's working out so well for you and in the HE washer as well. Thanks for sharing your experience. I have been using this for 8 weeks now and I love it. I just purchased an HE washer and it works great in it. I sprinkle it on top of my clothes at the beginning of the wash cycle. Word about this wonderful soap got out in my family, so I've made several more buckets to share. Thanks for sharing! Awesome Suzi, so glad you and your family are having such amazing success with it :) Thanks for returning and sharing your experience - much appreciated! I would imagine you can do it in any kind of mixer, but I would personally refrain from grinding soap in a mixer I use for food. If you can wash it really well and have it not leave any residue behind it should be ok. I have an old food processor I use for making soaps and body products. Can the bars of FelsNapa be cut up and grounded in a Vitamix blender to get it real fine? I've been using this for years, love it. I keep mine in a snap it container I purchased at Meijer, along with a scoop (1tablespoon) that I bought in the baking aisle. I usually use Zoot instead of FelsNaptha, just for the color, Zoot is pink. This recipe makes enough to fill approx 2 one gallon ziplock bags. You may want to add 1/2 the unstoppables and save or purchase more when you open the other 1/2 of the soap. Personally I prefer not to add because it doubles the cost of the soap. I think the FelsNaptha or Zoot have a nice smell. BTW, my husband is a farmer, this cleans all his dirty clothes pretty well! Maria - I don't have a front loader, but can't see it being any different. What is the measurement for front load washers? Hi Kenya, use a hand grater like you use for cheese. It's doable just a bit more challenging. I just made a batch of this soap and I am so glad I did! I washed my bedding first and then a load with my night gowns. I love how soft my nightgown feels and my sheets were amazingly soft too. Thank you for sharing your recipe. I found it on Pinterest. Awesome Courtney, thanks for sharing this. I have thought of using the soap berries I have to make liquid detergent - they are fairly inexpensive and all natural. I love the small amounts of liquid soap I've made with them. I will definitely try your technique for the liquid detergent. I've liked the powder so well I just haven't gotten around to it. I appreciate you sharing it here! I make my own liquid soap with a recipe similar to this. 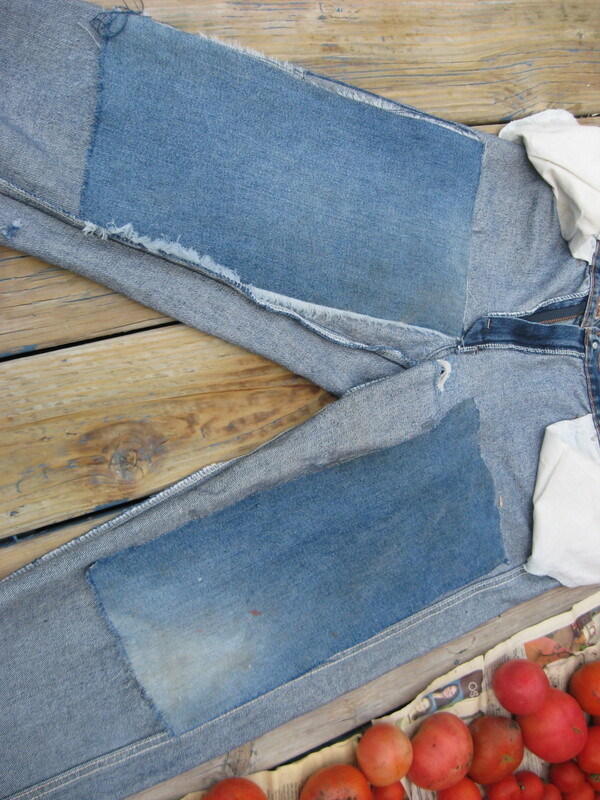 It was 1 cup of borax, 1 cup of washing soda, and 1 bar of Fels Naptha. Grate the fels naptha and mix with 4 cups of water on the stove. Stir over medium heat until it's fully melted through. Fill your 5 gallon bucket with your borax/washing soda mixture and fill the bucket halfway with hot water. Mix well. Add the fels naptha liquid and then fill the bucket the rest of the way with cold water and stir well. Let sit for 24 hours to gel. Then stir well again and fill your detergent container. $12 for 5 gallons of detergent. I even dilute mine again by filling my bottle half with detergent and half with cold water. And there is enough borax and washing soda to repeat this 2x more, just have to buy the fels naptha. So for $15 I make 30 gallons of detergent. Sometime next year when i finally finish the bucket of detergent I'm working on I am going to try a powder version to see which I prefer. Nadean I'm sure you could, but it would be pricey to add enough to a batch this large for scent. I use them in my handmade soaps but haven't wanted that expense for laundry detergent.